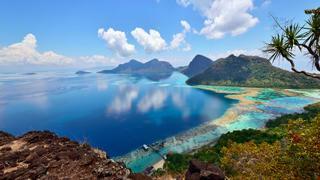 At nearly 300,000 square miles, Borneo is the largest island in Asia and the third largest in the world. 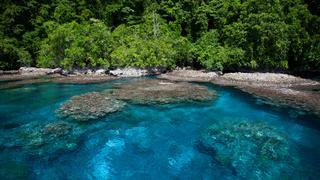 Experience huge diversity, from jungles and towering rainforests to splendid beaches ringed by colourful reefs. Governance of the sprawling island is split between Indonesia, Malaysia and Brunei and each area has a unique cultural spirit. “South Borneo is the place to visit for inland tours, like jungle treks and river boat excursions,” says Punthasuree Kay Monney, charter manager and broker at Northrop & Johnson, “but the most interesting cruising grounds are at the island’s northern end, just below Sipadan, Malaysia. Here you’ll find the remote island chains of Maratua, Derawan and Kakaban, where a freshwater jelly fish lagoon lies in secret.” Charter lowdown: Some Indonesian charter yachts will make the voyage to Borneo, though a relocation fee might apply. “It’s possible to charter in Borneo with clearance required via Malaysia,” says Gayle Patterson, Camper & Nicholsons’ senior charter marketing manager. Indonesia-based yachts are required to be Indonesian flagged, which means the majority of crew – including the captain and all deckhands – must be locals. Choose your yacht: The 46 metre Mutiara Laut merges classic Indonesian phinisi styling with an 18th century schooner. Available from $58,750 per week, her seven cabins are spacious, with a priority placed on en suites, including the full-width VIP bathroom. The largest traditionally built phinisi in Indonesia, Lamima, has a modern interior and is available from $126,000 per week. “Lamima is the only phinisi with 100 per cent Indonesian crew, as this is part of the travel experience, to be immersed in the friendly Indonesian culture,” says Patterson. The 56 metre expedition yacht Salila stands out in Indonesia. Her tough exterior belies a comfortable interior featuring local artworks and historical photographs. There’s a divemaster on board and a huge watersports arsenal. Available from $89,100 per week. Charter lowdown: Some Indonesian charter yachts will make the voyage to Borneo, though a relocation fee might apply. “It’s possible to charter in Borneo with clearance required via Malaysia,” says Gayle Patterson, Camper & Nicholsons’ senior charter marketing manager. Indonesia-based yachts are required to be Indonesian flagged, which means the majority of crew – including the captain and all deckhands – must be locals. Choose your yacht: The 46 metre Mutiara Laut merges classic Indonesian phinisi styling with an 18th century schooner. Available from $58,750 per week, her seven cabins are spacious, with a priority placed on en suites, including the full-width VIP bathroom. The largest traditionally built phinisi in Indonesia, Lamima, has a modern interior and is available from $126,000 per week. “Lamima is the only phinisi with 100 per cent Indonesian crew, as this is part of the travel experience, to be immersed in the friendly Indonesian culture,” says Patterson. The 56 metre expedition yacht Salila stands out in Indonesia. Her tough exterior belies a comfortable interior featuring local artworks and historical photographs. There’s a divemaster on board and a huge watersports arsenal. Available from $89,100 per week. While the South Pacific is becoming increasingly popular with superyachts, there are still reaches that are barely explored. The Solomon Islands, for example, are the South Pacific’s best-kept secret – and they are only a three-hour flight from Australia. This unspoiled paradise has hundreds of uninhabited islands where you can drop anchor and make fresh footprints on a secluded beach. Charter lowdown: A good local expert is vital as there is a traditional protocol for asking permission to visit and make landings. “It’s key to have a guide who can speak the local language – it opens up many more doors and experiences,” says Ben Lyons, of EYOS Expeditions. To charter in the region a yacht must go through a Solomons company that holds a marine charter licence. David Jamieson, of Asia Pacific Superyachts, recommends Fred Douglas with Extreme Adventures Solomon Islands. The cost is $5,000 per week and includes an experienced cruising guide. Choose your yacht: The 58.8 metre expedition yacht Seawolf will be in the Solomon Islands this year. She has a fully outfitted RYA watersports centre, a large pool and expansive decks (from $195,000 per week). The world’s largest sailing catamaran, Hemisphere (44.2 metres LOA with a beam of 16.6 metres), was designed to circumnavigate the globe and is available from $260,000 per week. She hosts a PADI certified dive centre with two instructors and a 16.4 metre sport fish chase boat. The 85.9 metre sailing yacht Aquijo will be in the South Pacific for spring/summer 2018 and Fiji/South East Asia for winter 2018, and is available from €450,000 per week. While the South Pacific is becoming increasingly popular with superyachts, there are still reaches that are barely explored. The Solomon Islands, for example, are the South Pacific’s best-kept secret – and they are only a three-hour flight from Australia. This unspoiled paradise has hundreds of uninhabited islands where you can drop anchor and make fresh footprints on a secluded beach. Charter lowdown: A good local expert is vital as there is a traditional protocol for asking permission to visit and make landings. “It’s key to have a guide who can speak the local language – it opens up many more doors and experiences,” says Ben Lyons, of EYOS Expeditions. To charter in the region a yacht must go through a Solomons company that holds a marine charter licence. David Jamieson, of Asia Pacific Superyachts, recommends Fred Douglas with Extreme Adventures Solomon Islands. The cost is $5,000 per week and includes an experienced cruising guide. Choose your yacht: The 58.8 metre expedition yacht Seawolf will be in the Solomon Islands this year. She has a fully outfitted RYA watersports centre, a large pool and expansive decks (from $195,000 per week). The world’s largest sailing catamaran, Hemisphere (44.2 metres LOA with a beam of 16.6 metres), was designed to circumnavigate the globe and is available from $260,000 per week. She hosts a PADI certified dive centre with two instructors and a 16.4 metre sport fish chase boat. The 85.9 metre sailing yacht Aquijo will be in the South Pacific for spring/summer 2018 and Fiji/South East Asia for winter 2018, and is available from €450,000 per week. America’s last wild frontier, Alaska may be only 500 miles from the rest of the country but it feels a world away. This sparsely populated northern state offers more coastline than all the other US states combined. Cruise the Inside Passage to go whale watching and glacier spotting. 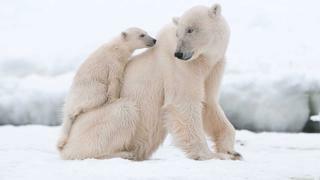 Alternatively, venture on land for dog sledding, guided bear tours and visits to traditional local villages. Fishing enthusiasts can troll, fly- fish or set traps for Dungeness crab and spot prawns. “Guests love to have their fresh catch cooked up in any number of ways and incorporated into our chef ’s specialities,” says Captain Chris Fagan, of charter yacht Serengeti. Charter lowdown: According to Yacht Services of Alaska: “The State of Alaska requires yachts more than 400GT to have a current Alaskan COFR and Oil Spill Response Plan in effect prior to arrival in Alaskan waters. And permits are required to enter Glacier Bay National Park, Anan Creek Bear Observatory and Pack Creek Bear Sanctuary.” Beyond this, there are various pilotage rules depending on the yacht’s length, though vessels larger than 19 metres and under 53 metres are eligible for exemptions (apply at least 30 days in advance). Choose your yacht: The 39.6 metre Westport 130 Serengeti stands out with her enclosed, heated aft deck that lets guests enjoy the views. The yacht, available from $120,000 per week, has three trained sport fishing guides on board at all times. The 48 metre Rebel boasts a crew who know Alaska well and she is outfitted with everything needed for outdoor adventures, from mountain bikes to sea kayaks (from $165,000 per week). I Love This Boat will be in Alaska in summer 2019, from $150,000 per week. The 44.2 metre Christensen yacht offers a tender for fishing trips and a spa tub for relaxing after a long day of adventures. America’s last wild frontier, Alaska may be only 500 miles from the rest of the country but it feels a world away. This sparsely populated northern state offers more coastline than all the other US states combined. 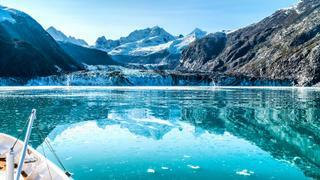 Cruise the Inside Passage to go whale watching and glacier spotting. Alternatively, venture on land for dog sledding, guided bear tours and visits to traditional local villages. Fishing enthusiasts can troll, fly- fish or set traps for Dungeness crab and spot prawns. “Guests love to have their fresh catch cooked up in any number of ways and incorporated into our chef ’s specialities,” says Captain Chris Fagan, of charter yacht Serengeti. Charter lowdown: According to Yacht Services of Alaska: “The State of Alaska requires yachts more than 400GT to have a current Alaskan COFR and Oil Spill Response Plan in effect prior to arrival in Alaskan waters. And permits are required to enter Glacier Bay National Park, Anan Creek Bear Observatory and Pack Creek Bear Sanctuary.” Beyond this, there are various pilotage rules depending on the yacht’s length, though vessels larger than 19 metres and under 53 metres are eligible for exemptions (apply at least 30 days in advance). Choose your yacht: The 39.6 metre Westport 130 Serengeti stands out with her enclosed, heated aft deck that lets guests enjoy the views. The yacht, available from $120,000 per week, has three trained sport fishing guides on board at all times. The 48 metre Rebel boasts a crew who know Alaska well and she is outfitted with everything needed for outdoor adventures, from mountain bikes to sea kayaks (from $165,000 per week). I Love This Boat will be in Alaska in summer 2019, from $150,000 per week. The 44.2 metre Christensen yacht offers a tender for fishing trips and a spa tub for relaxing after a long day of adventures. 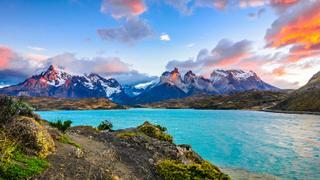 From southern to northern Patagonia, there are myriad waterways that cut through sky-high mountain ranges, passing blue glaciers and pristine anchorages. These virginal cruising grounds offer plenty of adventure and chances to commune with nature – fly-fish on a mountain-top spring, heli-ski on a volcano or go whale watching, kayaking and trekking. “The fjords are very deep, and sometimes you can be anchored stern-to on rocks next to a waterfall where you can fill your tanks with fresh spring water,” says Carlos Miquel, regional director of South American Super Yacht Support Services (SASYSS). “Security isn’t an issue here, and often you won’t see another yacht for days.” Charter lowdown: All yachts above 50GT require a pilot while in Chilean ports, but for navigation in Patagonian fjords, only yachts 200GT and up require a pilot. Yachts 500GT and larger will require two pilots if there are more than eight hours of navigation a day. “The pilots are full of local knowledge, which they are eager to share, and know every nook and cranny along the route,” says Miquel. The yachting industry is so undeveloped in Chile that authorities do not yet distinguish between private and charter yachts, so there are no additional taxes on charters. It is recommended to plan the itinerary with a local agent, like SASYSS, as immigration legislation can affect the itinerary based on the nationality of the guests on board. Choose your yacht: The 83 metre Amels_ superyacht _Here Comes the Sun will be available in Patagonia in summer 2018, from €1.2 million per week. Unwind in the beach club and wellness centre, taking in the epic views. With a seaplane, helicopter and exceptional selection of tenders and toys, 63 metre SuRi will make exploring Patagonia an unforgettable experience (from $350,000 per week). Charter lowdown: All yachts above 50GT require a pilot while in Chilean ports, but for navigation in Patagonian fjords, only yachts 200GT and up require a pilot. Yachts 500GT and larger will require two pilots if there are more than eight hours of navigation a day. “The pilots are full of local knowledge, which they are eager to share, and know every nook and cranny along the route,” says Miquel. The yachting industry is so undeveloped in Chile that authorities do not yet distinguish between private and charter yachts, so there are no additional taxes on charters. It is recommended to plan the itinerary with a local agent, like SASYSS, as immigration legislation can affect the itinerary based on the nationality of the guests on board. Choose your yacht: The 83 metre Amels_ superyacht _Here Comes the Sun will be available in Patagonia in summer 2018, from €1.2 million per week. Unwind in the beach club and wellness centre, taking in the epic views. With a seaplane, helicopter and exceptional selection of tenders and toys, 63 metre SuRi will make exploring Patagonia an unforgettable experience (from $350,000 per week). Antarctica is the largest wilderness on the planet, devoid of any development save a few scientific stations – including the Ukrainian base in which you’ll find the world’s southernmost pub. Charter here and guests can soak in a spa tub sipping champagne while watching icebergs oat by, and visit colonies of penguins thousands deep. “Because it’s such a dynamic environment, it’s important to be flexible,” says Mick Davidson, expedition guide with EYOS Expeditions. “But because it’s such an amazing place, if you can’t get one thing you’ll get something else – for instance, if you miss Deception Island, you might see humpback whales. A change of plans could give you unexpected pleasures.” Charter lowdown: Permits are required to visit Antarctica and to do almost anything there, from shore visits to diving, and it takes at least three months for approvals. Antarctica is well regulated to keep it as pristine as possible. There is a booking system that members of IAATO (International Association of Antarctica Tour Operators), like EYOS, abide by so only one yacht will visit at a time. Choose your yacht: A former Soviet icebreaker, 77 metre Legend is completely at home in these icy climes. Explore the depths in her three-man submarine and warm up in the sauna and spa tub (from €460,000 per week). Available from €290,000 per week, 71 metre Enigma XK has five tenders, Jeep Wranglers and lots of dive equipment. 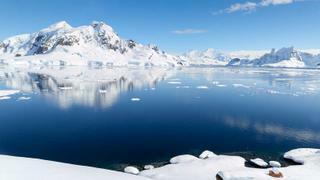 Yachts listed for Patagonia and Antarctica might be available in either location; enquire for availability. Charter lowdown: Permits are required to visit Antarctica and to do almost anything there, from shore visits to diving, and it takes at least three months for approvals. Antarctica is well regulated to keep it as pristine as possible. There is a booking system that members of IAATO (International Association of Antarctica Tour Operators), like EYOS, abide by so only one yacht will visit at a time. Choose your yacht: A former Soviet icebreaker, 77 metre Legend is completely at home in these icy climes. Explore the depths in her three-man submarine and warm up in the sauna and spa tub (from €460,000 per week). Available from €290,000 per week, 71 metre Enigma XK has five tenders, Jeep Wranglers and lots of dive equipment. Yachts listed for Patagonia and Antarctica might be available in either location; enquire for availability. The allure of the mythical Northwest Passage is to boldly go where few have gone before. The sea route that connects the Atlantic and Pacific oceans, through the unforgiving Canadian Arctic, was first completed by Norwegian explorer Roald Amundsen in 1906 – since then there have been fewer than 160 transits. “This is a proper adventure zone,” says Tamsin Vaughan, an associate at YPI. “See polar bears, narwhals and belugas, and go kayaking, trekking and get to know the Inuit culture. Explore it now before too many people tread the untrodden.” Charter lowdown: The Northwest Passage is complex because visiting yachts have to work with the Inuit to gain access to their lands and waters. Go with a respected expedition company to avoid breaking the law or upsetting locals. Choose your yacht: “For the Northwest Passage and Antarctica, we have owners coming to visit each year who decide to make their yachts available for charter after their own voyage,” advises Tim Soper, EYOS Expeditions’ founding partner. The ice-class 48 metre Hanse Explorer, available from €125,000 per week, was built for adventurous pursuits and all of her seven cabins can be had as twins or queens. Charter lowdown: The Northwest Passage is complex because visiting yachts have to work with the Inuit to gain access to their lands and waters. Go with a respected expedition company to avoid breaking the law or upsetting locals. Choose your yacht: “For the Northwest Passage and Antarctica, we have owners coming to visit each year who decide to make their yachts available for charter after their own voyage,” advises Tim Soper, EYOS Expeditions’ founding partner. The ice-class 48 metre Hanse Explorer, available from €125,000 per week, was built for adventurous pursuits and all of her seven cabins can be had as twins or queens. Seychelles These paradise islands of the Indian Ocean (pictured above, left) are now considered to be free from the piracy threat that previously plagued them, making them more inviting for the superyacht set. Galápagos The ultimate bucket list destination for many, this nature lover’s paradise (pictured centre) has strict charter rules that are designed to help protect the fragile ecosystem. There are a handful of excellent charter yachts year-round with naturalist guides on board. Madagascar Talk has swirled around cruising this intriguing African island (pictured right). The only thing preventing it from becoming a reality is the lack of charter yachts regularly based there. These paradise islands of the Indian Ocean (pictured above, left) are now considered to be free from the piracy threat that previously plagued them, making them more inviting for the superyacht set. 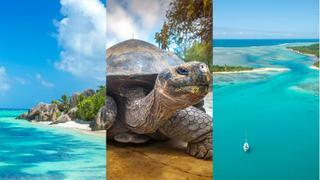 The ultimate bucket list destination for many, this nature lover’s paradise (pictured centre) has strict charter rules that are designed to help protect the fragile ecosystem. There are a handful of excellent charter yachts year-round with naturalist guides on board. Talk has swirled around cruising this intriguing African island (pictured right). The only thing preventing it from becoming a reality is the lack of charter yachts regularly based there.